Engraving There are 2 products. 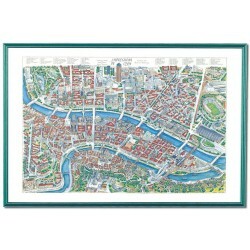 Antique engraving of the city of Lyon, in Watercolor and Sepia in format 90 x 60 cm. Seven months of work, more than 1200 photos viewed : Lyon’s 60 principal monuments have been drawn to scale and at 45°. 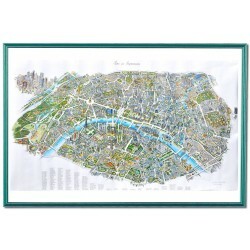 Engraving supplied in tube or framed (wooden frame).